The grass is finally turning green, trees are developing their leaves for the season, and spring flowers are beginning to bloom. 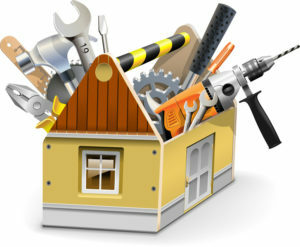 With Mother Nature issuing in spring you as a homeowner may be thinking about your spring home maintenance checklist. Below you will find a list of items to consider for your spring summer home maintenance. 2. Gutters – clean your gutters of leaves and debris to allow proper draining. Reattach any gutters that are sagging with new hardware. Caulk and seal holes to prevent leaking. Make sure all downspouts are properly directed away from the foundation of your home. 3. Inspect Concrete – Check for cracking of your concrete driveway, sidewalk, walkways, and pool deck. Fill cracks with concrete filler or silicone caulk. If your drive or sidewalks are severely damaged you may need to seek professional help to have them properly replaced. 4. Faucets – inspect outside faucets for possible freeze damage from winter conditions. 5. Air Conditioning Units – clean your air conditioning unit by removing debris that has collected on it. Be sure to check all sides, this includes the back of the unit. Spring is an excellent time to contact your HVAC professional for an annual check-up and tune-up. 6. Deck – check your deck for signs of discoloration and warping. Check for loose nails/screws. Check your railing system to make sure it is secure. Replace rotting or lifting boards. 7. Woodwork – check fencing and all other wooden structures. As with your deck you may need to replace boards, secure loose boards and nails/screws. 8. Sprinkler System – turn your system on to check if the system is still working properly. Check for leaks or broken sprinkler heads. 9. Windows and Doors – check for cracks and other repairs that may be needed. Replace or patch screens that are damaged so they are ready for the seasons bugs that will want to seek refuge in your home. 10. Landscaping – clear your gardens and landscape areas of debris. Trim overgrowth of shrubs and weakened or damaged tree limbs. 1. Windows – open your windows and let the fresh air of spring in! Wipe down the interior of the window sills so your windows work efficiently. 2. Basement and Attic – look for water stains, mold, and leaks. Remove any moisture that can lead to mold issues or serious water damage. It may be necessary to call a professional to see what you must do to prevent further damage. For your attic this may be a roofing professional. For your basement you may need to check your downspouts location, landscape grade slope, water pipes, etc. 3. 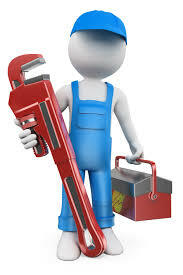 Home Safety – change batteries in all smoke detectors, check your fire extinguishers to make sure they are still fully charged and ready to use if necessary, check all exhaust fans to be sure they are clean – this includes your bath vents, clothes dryer vent and hose, range/cooktop hood vent. 4. 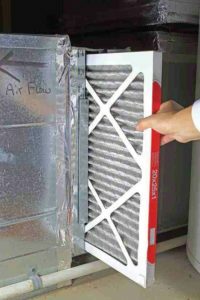 Furnace – replace your filter and clean your system. If you are not comfortable doing this call a professional to check your furnace and be sure it is ready to work for you next fall and winter. 5. Updates and Upgrades – now is the perfect time to take a look at the age of appliances throughout your home. What is their age? What appliances/utilities are nearing the end of their expected life? As a homeowner it is important to stay on top of this so you can properly budget for the new furnace/air conditioner, refrigerator, washer/dryer, hot water heater, roof, deck etc. that you may need to replace. 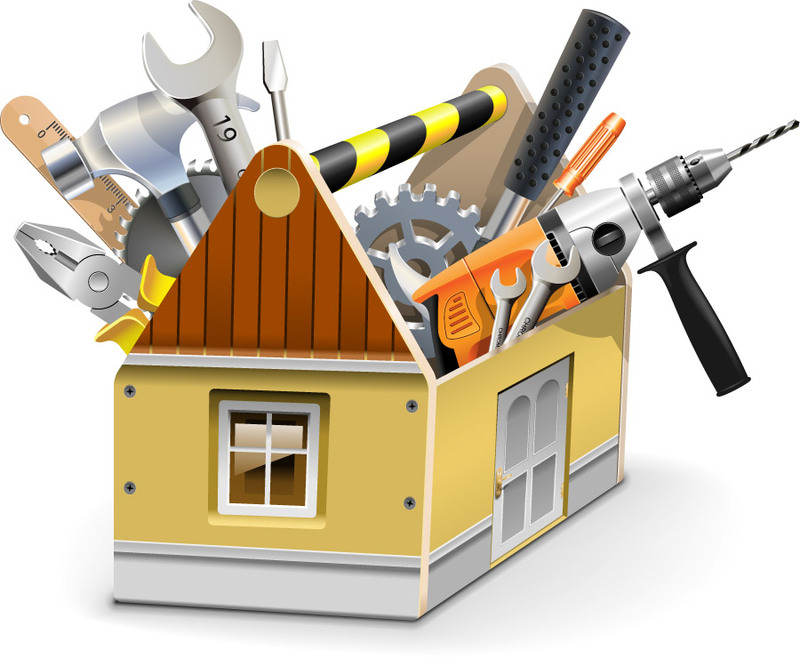 Remember, when you became a homeowner you took on the responsibility of home maintenance. As with anything else, the better you take care of your home, the longer it will serve your needs. Are you looking for a new home or to sell your current home? At Corspect Advanced Home Inspections we combine knowledge, experience and science to provide you with the highest level of inspection service. Corspect Advanced Home Inspections uses the latest technology to assess every detail of the homes systems. At Corspect Advanced Home Inspections we also have the unique ability, through Drone equipped HD Cameras, to inspect and photograph roof components. At Corspect Advanced Home Inspections it is our mission to make the home buying experience rewarding, informative and enjoyable for all. Contact Bob at Corspect Advanced Home Inspections to set up your home inspection. When preparing to purchase a home or owning a home it is a good idea to understand the life expectancy of the appliances and structural parts that make up your home. 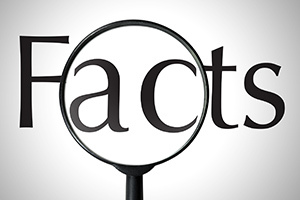 Below is a summary of these items based upon a review of the National Association of Home Builders “Study of Life Expectancy of Home Components” which gives a good guesstimate of life-cycle data based on data from product manufacturer and testing labs. • Closet shelves are expected to last for a lifetime. Masonry is one of the most durable components of a home. • Brick walls have an average life expectancy of more than 100 years. • Natural stone countertops are expected to last a lifetime. • Cultured marble countertops have a life expectancy of about 20 years. Because they are subject to a wide range of conditions in different climates, the life expectancy of wooden decks can vary significantly. Under ideal conditions, they have a life expectancy of about 20 years. • Vinyl and screen doors have a life expectancy of 20 and 40 years, respectively. • French doors have an average life of 30 to 50 years. • Electrical accessories and lighting controls are expected to last 10+ years. • Bath cabinets and toilets have an unlimited lifespan, but the components inside the toilet tank do require some maintenance. • Whirlpool tubs will function properly for 20 to 50 years, depending on use. • All natural wood floorings have a life expectancy of 100 years or more. • Marble, slate, and granite are also expected to last for about 100 years, but can last less due to a lack of maintenance. • Carpet between 8 and 10 years (with appropriate maintenance and normal traffic). • Poured as well as concrete block footings and foundations last a lifetime, assuming they were properly built. • Termite proofing of foundations will last about 12 years if the chemical barriers put in place during construction are left intact. • Waterproofing with bituminous coating lasts 10 years, but if it cracks it is immediately damaged. • Concrete or cast iron waste pipes are expected to last 100 years or more. • Framing and structural systems have extended longevities: poured-concrete systems, timber frame houses and structural insulated panels will all last a lifetime. • Wall panels and roof and floor trusses will similarly last a lifetime. • OSB and particleboard are expected to function properly for 60 years. • Light inserts for 20 years. • Wireless home networks and home automation systems are expected to work properly for more than 50 years. • Thermostats usually are replaced before the end of their 35-year lifespan due to technological improvements. As long as they are not punctured, cut, or burned and are kept dry and away from UV rays, the cellulose, fiberglass, and foam used in insulation materials will last a lifetime. This is true whether the insulation was applied as loose fill, house wrap, or batts/rolls. • Lifts is about 8 to 10 years. • Stairs—circular and spiral stairs, prebuilt stairs and attic stairs—are expected to last a lifetime. • Wall panels are expected to last a lifetime. The life of a roof depends on local weather conditions, proper building and design, material quality, and adequate maintenance. • Roofs made of wood shakes can be expected to last for about 30 years. Outside materials typically last a lifetime. • Copper downspouts last 100 years or more, while aluminum ones will last 30 years. • Asphalt driveways should last between 15 and 20 years. • Tennis courts can last a lifetime if recoated; most coatings last 12 to 15 years. • Concrete shell of a swimming pool is expected to last over 25 years, but the interior plaster and tile have life expectancies of about 10 to 25 years. • Wooden windows should last upwards of 30 years. Radon is a tasteless, colorless, and odorless invisible gas formed in the Earth’s crust. It surrounds every one of us as a part of the air that we breath. Radon naturally occurs outdoors, but it is generally found at higher concentrations indoors because most houses are not built to be radon resistant. Due to modernization of how buildings are now constructed through insulation and windows that seal radon is now able to build to levels that are not healthy in our homes. Radon typically builds up in the lowest levels of homes and buildings. Due to air pressure differences in the home and the soil around the foundation and basement slab radon is drawn into the house through floor-wall joints, cracks in the foundation and other openings in the home/building structure. Why is it important for homeowners to understand what radon is and why testing is important? Radon is the number one cause of lung cancer among non-smokers. Exposure to radon accounts for about 21,000 deaths from lung cancer each year according to the US Environmental Protection Agency (EPA). When radon gas is breathed in, it enters the lungs, exposing them to small amounts of radiation. This may damage the cells in the lining of the lungs and increase a person’s risk of lung cancer. This risk is elevated when an individual is exposed to radon gas in the home which they live. Because radon gas cannot be seen or smelled, the only way to know whether it is a problem in your home is to test for it. Not every house has or will have elevated levels of radon, but one in 15 does, and there is no way to know if your home is affected without testing. There are two methods of testing available. You can obtain a DYI test kit to test your home. The accuracy of a DIY radon test is always uncertain because it is conducted by an amateur. These kits typically run you about $40 plus lab and mailing fees. These fees can run approximately $40-50. Professional testing is the best option for the most accurate results. Professional testing is performed by a trained and certified individual. Cost for professional testing can range from $150 to $250. It is highly recommended that homeowners hire professionals who do NOT also mitigate. Keep in mind that individuals who also mitigate may or may not charge to test but it is also in their best interest to then find high levels of radon gas and charge homeowners a high cost to mitigate the radon in their homes. This charge can run a homeowner anywhere from $900 to $1,000. Once you become a homeowner, you have taken on the responsibility of maintaining the home you purchased. With each season comes a new list of tasks you should strongly consider doing for the home you purchased to maintain it and preserve its life. Below are the fall home maintenance steps that every homeowner should follow. • Clean gutters and downspouts. Once most of the leaves have fallen, clean out gutters and downspouts (hire a helper if you are not comfortable on a ladder). Clogged gutters during rainstorms can cause water to pool and damage your roof or siding. 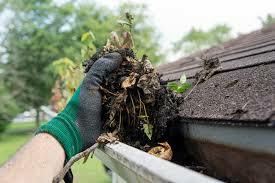 Neglected gutters can lead to wood rot problems and pest infestations. Be sure water is not coming down behind gutters and that all support brackets are securely in place. • Change and summer screens to cool/cold weather storm windows and doors. Inspect and repair any loose or damaged window or door frames and install weather stripping or caulking to prevent drafts and lower heating bill costs. • Replace the filter in your furnace. You may want to consider having a heating professional check your heating system to ensure optimal performance and identify any minor problems before they turn into costly repairs. Also consider cleaning your ducts to insure your heating system’s efficiency as well as to reduce household dust. If your home has window air conditioners remove them and store them, if you must keep the window air conditioner in the window cover it to prevent drafts and heat loss. Air conditioning systems should be cleaned and checked for damage. Also caulking of the system into the home. Replace all dry and deteriorating caulking. • To prevent your homes pipes from freezing and bursting check all pipes to make sure that they are well insulated. Be sure you also know how to locate and turn off the water shut-off valves in case pipes do freeze. Shut off exterior water faucets and remove and store all garden hoses. Protect your pipes from freezing temperatures by shutting off water to exterior faucets before freezing temperatures occur. Also, be sure to properly turn off all underground water systems and drain properly. • Walk around the exterior of your home and look for signs of damage to the roof, siding, and foundation. Schedule repair for anything that needs it before winter sets in. Seal gaps where mice or any other “critters” can make entrance to your home. 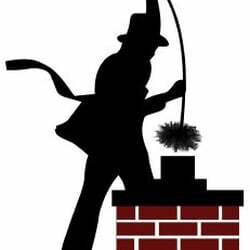 • Contact a professional to inspect and clean your chimney. Fireplaces that are regularly used should have an annual cleaning to prevent dangerous chimney fires. And be sure to add a chimney cap if you don’t already have one — it will stop unwanted surprises from crawling down your chimney! • Be sure attic insulation doesn’t cover vents in the eaves to prevent winter ice dams on the roof. Be sure ridge vents and vents at eaves are free of plants and debris. Check bird and rodent screens for attic vents to prevent any unwanted guests. • Now is the time that grass roots grow deeper to prepare for winter. It is also the best time to fertilize and reseed your lawn. 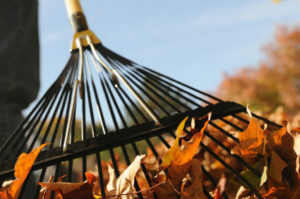 Rake up leaves which can inhibit spring growth of your lawn. Prune trees and shrubs. Have all tree limbs that are dangerously close to power lines or the roof of your house trimmed to prevent damage which can occur from ice and heavy snow storms. • Test smoke detectors and carbon monoxide detectors. Replace batteries as needed. Check the expiration date of your fire extinguishers and replace any that require it. If you haven’t checked your home for radon, fall is a good time to do so. As the weather gets cooler, windows stay shut more often and radon is more likely to become trapped in your home. • Lint buildup in dryer vents can make your dryer work less efficiently and even cause a fire — cool, dry fall weather increases static electricity, which can ignite lint that has built up, so now is a key time to get that lint out. You can hire a duct cleaning specialist to clean the vents for you, or clean the vent yourself. At Corspect Advanced Home Inspections we combine knowledge, experience and science to provide you with the highest level of inspection service. Corspect Advanced Home Inspections uses the latest technology to assess every detail of the homes systems. At Corspect Advanced Home Inspections we also have the unique ability, through Drone equipped HD Cameras, to inspect and photograph roof components. At Corspect Advanced Home Inspections it is our mission to make the home buying experience rewarding, informative and enjoyable for all. Contact Bob at Corspect Advanced Home Inspections to set up your home inspection. When buying a home, the question you may be asking is “Why do I need a home inspection?” The answer is quite simple, to have the best possible evaluation of the home and the issues you may be taking on. Keep in mind that as the future home owner it is also your responsibility to understand that the home you are looking at has been dressed up by the seller to accentuate its best features and minimize its potential flaws. When you look at the home look beyond the furnishing that have been set in the home, beyond the aromas that are intentionally drifting through the it and beyond the aesthetic appeal. Instead, look under the sink, flush toilets, check appliances, look under rugs and area carpets – in other words unwrap the package being presented and look what is inside. Look critically at what you are wanting to buy. 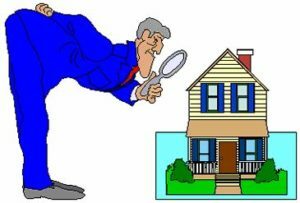 Make a list of concerns you have with the home as well as other items you want a home inspector to assess. Remember, you as the future home owner can address these issues before the sale if you have placed contingencies on your purchase contract. After you purchase the home those issues become yours. Home buyers should be aware of what the home inspection process entails. Generally, a home inspection will include a report on the home’s heating and cooling systems, electrical system, plumbing, walls, ceilings, flooring, foundation, roofing, drainage and basement. Typically, the home inspection will not include termites, chemicals and gasses (methane and/or asbestos), lead or rodents. What the home inspector may tell you is that there’s a good chance there may be a termite problem because of the area the home is located. It is then up to you to call a professional in that field to give a written analysis. Generally, home inspectors are not licensed to inspect for specific issues like pests, gasses, etc. If you are in a high-risk area, a specialized inspection to assess the house’s susceptibility to those risks would be advised to do as well. Yes, the cost of home inspections can present a major factor for some home buyers that are already facing down payments, closing costs and loan fees. While you, as the future home buyer, may hope to save money on property inspections please keep in mind that the cost of these inspections will save you money in the long run. So what inspections are essential? 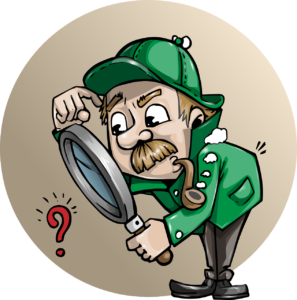 Keep in mind that you should look for inspectors that will inspect the property ONLY. Do not look for inspectors who also mitigate or repair the damage as well. This creates an issue of credibility of the inspection report. a. This includes a licensed pest inspector who can exam the property for pests, water damage, fungus and mold. a. This includes the condition of the home’s heating system, central air conditioning system (temperature permitting), interior plumbing and electrical systems, the roof, attic, insulation which is visible, walls, ceilings, floors, windows, doors, foundation, basement and structural components. Keep in mind, no house is perfect. 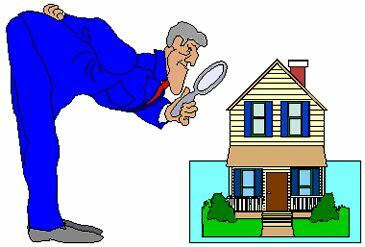 Also keep in mind that no home inspector has a crystal ball to investigate the future of your home. He/she will assess and review the house that day and give you an assessment on the condition of the home on the day of the inspection. a. These inspections are relatively inexpensive and sometimes include a cleaning of the chimney. a. If the home inspector raises an alarm about the condition off the roof, regardless of when the roof was applied, it is smart to get a roof inspection. Roofing companies can analyze problems and provide free estimates. It is not the clients best interest, however, to suggest a roofing company analysis over an inspection by a qualified roof inspector. Remember, it is the roofing companies interest to sell you a roof. a. Septic system inspectors check the operation, calculate how recently the system has been pumped, determine whether the system requires pumping prior to sale and identify the boundaries of the leach-field. Keep in mind that leach fields cannot be built over, and they don’t make good vegetable gardens either! a. Inspectors provide information on the age, condition and depth of the well and the quality of the water being pumped. a. A preliminary title report that includes a plat map, showing the boundaries and size of the lot. If the buyer wants boundaries marked and/or verified this should be considered. 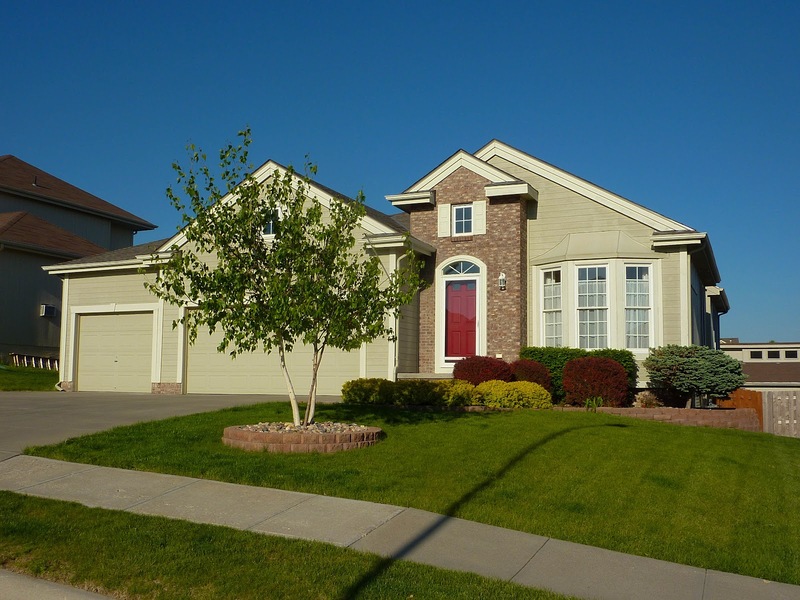 These inspections do take time and may significantly delay the close of escrow. a. These studies are crucial on hillsides and some flat areas where you may want to invest in a potential vineyard. Typically, this test is used to identify the stability of the home on the land it is positioned. a. This inspection will provide information about electrical boxes which may be past their prime or recalled and need to be updated. If the home inspector raises an alarm about the box or wiring, further inspection by a licensed electrician can help you address questions about how to best address specific conditions of the home’s electrical system. a. The home inspector will be able to tell you if the home’s foundation is sound or if there is scaling or cracking that warrants further inspection. If that is the case a structural or foundation engineer should assess the foundation issues that may exist. a. If your home/condo/townhome has a HOA you will want to secure the HOA contract/agreement, which the seller is required to provide for buyers’ review. This document will include the governing documents, financials, covenants, conditions and restrictions (CC&Rs) and more. a. If your chosen home is in a local, state or nationally-recognized historic district, an additional layer of government oversight may be required for any exterior and sometimes interior changes. a. If the home inspector recommends further evaluation of the heating/air conditioning system a specialist should be brought in to test the system. These are also the specialists to contact if you want duct cleaning as well. a. A landscape inspection would cover retaining walls, paths, stairways, terracing, patios and decks, outdoor kitchens, water features, fireplaces and fire pits, irrigation systems, fences, lighting, play structures/areas, lawns and trees. An arborist should be included in the inspection if the property is heavily treed or hosts environmentally protected species. a. Your preliminary title report will provide the buyer with a plat map with identifiable boundaries. Fences are not always a reliable boundary marker. If you are concerned you may want to hire a surveyor to mark the exact property lines. a. 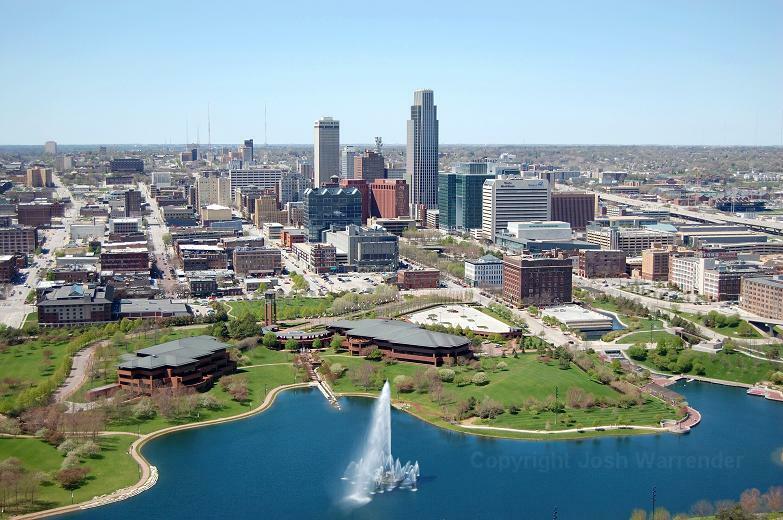 You can request this information from the seller or from the city/county planning department. a. If your property has a pool or spa it should be inspected. Request a professional who specializes in installation and maintenance of pools and spas. These individuals will evaluate the estimated life of the pool and decking structures as well as the operating components of the pool/spa/heater/skimmer/etc. a. Homes built before bans on lead/asbestos/etc. may still contain some of the banned materials. Buyers have the right to have the home tested for these. Families with young children may be particularly concerned about the presence of lead. b. Radon, mold and methane gas also requires specialized inspections. 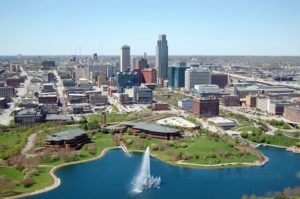 Radon is a hazard that exists in many parts of Nebraska as well as throughout the United States. a. Some cities and counties are requiring homeowners to upgrade aging sewer pipes (laterals) that runs from the main sewer line to each home. If this is the case with the home you are purchasing you will want to have that lateral looked at before you release inspection contingencies. a. County tax records generally state the square footage of both the home and the lot where the home stands. You may want those numbers verified. A property appraiser can measure and report the square footage. 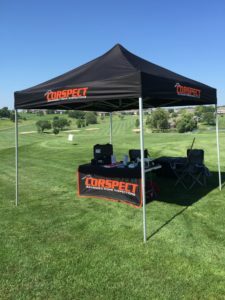 Corspect Advanced Home Inspections would like to take this time to thank the Women’s Council of REALTORS of Omaha for the opportunity to sponsor a hole again this year. We enjoyed meeting each of the teams that visited our hole for water, our pink golf tees and balls, business information and our putting game.